École W.S. Hawrylak School is located at 2530 Assiniboine Avenue East in the southeast corner of Regina. Our attendance area includes Wascana View, University Park East, Richmond Place, and Varsity Park. We also draw from University Park, Douglas Park, Windsor Park, Woodland Grove, The Creeks, The Greens, and as far north and west as Victoria Avenue, Arcola Avenue, and Winnipeg Street for French Immersion. École W. S. Hawrylak School was built and opened in 1989. 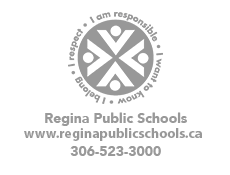 The school was named after a respected Regina educator and public school board member. We are a Kindergarten to Grade 8 dual-track school (English and French Immersion). Presently, we have 695 students enrolled at our school. Approximately 300 of these students are registered in the French Immersion program. Our school day runs from 8:53 AM – 3:37 PM, with two 15 minute recesses at 10:30 and 2:15, and one hour for lunch from 11:45-12:45. Lunchroom supervision is available to all students in one of our 27 lunchrooms. There are over 50 staff members who help in supporting our school and student programming. We have two English and two French Immersion Kindergarten classes. There are 14 classes in Grades 1-8 and 10 classes in the French Immersion Program Grades 1-8. There are 695 students at W.S. Hawrylak with 300 enrolled in French Immersion. Hawrylak has a very diverse student population with students from various nationalities. École W. S. Hawrylak School has a Principal and a Vice-Principal who uphold school division values and together help in facilitating and guiding the vision and direction of the school. Administration liaisons between the community and school to encourage open communication. Each staff member is encouraged to take an active leadership role in the school by participating in school-based professional learning communities and school division communities of practice. Collaboration among staff is encouraged to find creative ways to engage and support students. The majority of our staff also facilitate extra-curricular activities to give students other learning opportunities. There is a Student Representative Council (Hawrylak Leadership Council – HLC) to provide leadership opportunities for our senior students to plan exciting school activities and learn leadership skills by supporting the student body and becoming actively involved in our community. The École Hawrylak School Community Council (HSCC) was elected in May 2018. There are approximately ten parents, the principal, vice-principal, and six appointed members on the Council who together find ways in supporting school programming and engaging the community through planned projects and events.